CrunchBase is one of the most widely-used databases of technology companies, people, and investors. 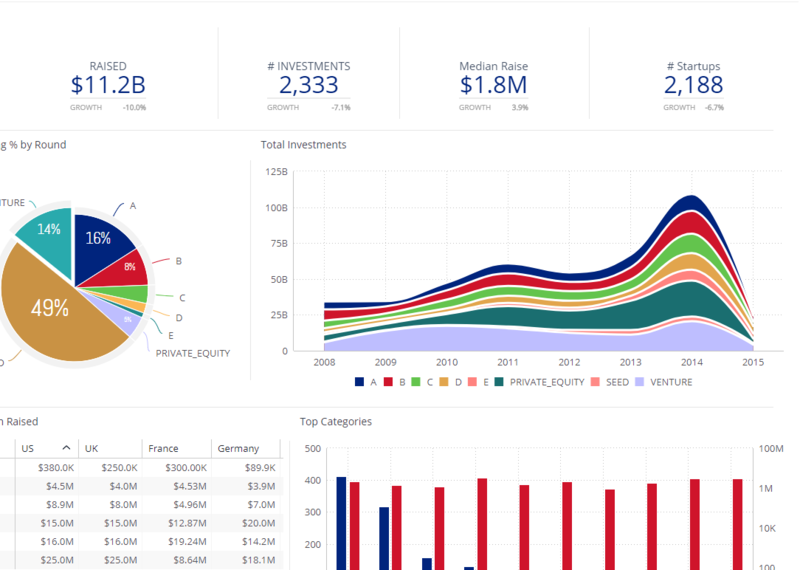 In order to make the most of their information about the start-up world, CrunchBase used Sisense to create an incredible investor dashboard with all their data. Financial companies and entrepreneurs use this Sisense dashboard to analyze investments, acquisitions, and start-ups all in real-time, and make the smartest investments possible.